Painfully I have to say this was one of the weak Bosch books like the black box which was my least favorite. 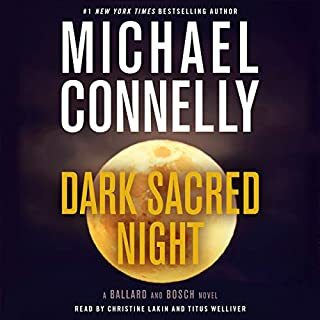 I love the Ballard Character and of course Harry is one of my go to all time favorite characters when I think detective novel. I just don't see why Harry had to become weaker and dumber in this joint novel. Loved the narration, both were fantastic in the chapters they read. Just not not my cup of tea with this story. By the sounds of it Connelly is going to go down the joint Novel approach with these two characters and I only hope the next one will have them equally strong. I also hope he will bring back Haller at some point . If you could sum up Forensics in three words, what would they be? not really characters in this real life world of Forensics investigators. But there are details to this side of investigations that I would never have known if it weren't for this book. These people really should be admired for all they see and all the real hard work they add to helping catch those that are pure evil. What about Sarah Barron’s performance did you like? I will admit it i bought this audio book because of the sample of hearing her accent and that wonderful female voice. However her wonderful voice added so much to getting me to really like this story of something I knew little about. 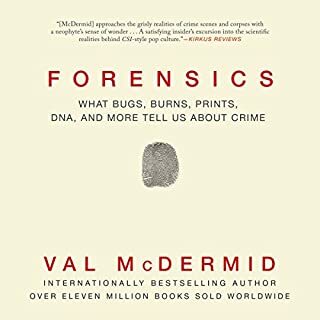 Get it for the Great accent in Sarah's voice and stay for the VERY interesting story on what Forensics is truly all about. Dark chocolate sales are on the rise as people embrace the concept that chocolate can truly be good for them. But how do they know what to eat, how much, and which kinds are the best? The Chocolate Therapist answers these questions and more. This book has everything a person needs to know to select the best chocolate for health. 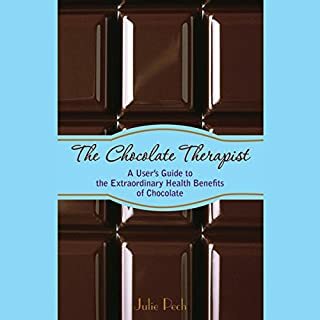 Both informative and entertaining, it includes alphabetized ailments, each with a chocolate recommendation, followed by supporting research as to how and why it helps the body. Would you consider the audio edition of The Chocolate Therapist to be better than the print version? What was one of the most memorable moments of The Chocolate Therapist? The break down of the fats of the good and why and the bad and why. I am a chocoholic and Loved this book and the information it laid out. 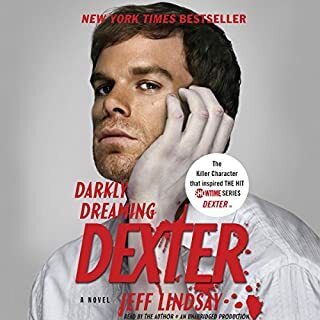 Would you consider the audio edition of Darkly Dreaming Dexter to be better than the print version? Dexter in print is far better then the TV show and that is saying a lot as the TV series was well done. You see in this book the real Dexter and how he just doesn't think like we do and how he fakes his way into people thinking he is one of them. The ending was something with Deb taped to the table and Dex going over things in his head. 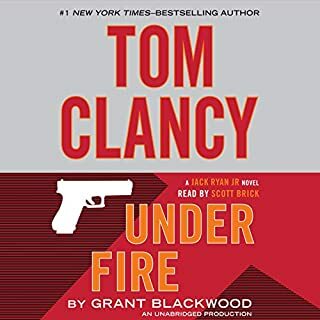 Would you consider the audio edition of Tom Clancy Under Fire to be better than the print version? I say either print or audio will do a fine job. If your like me you might enjoy them both.I love having one on my Kindle and then having the audio book to listen to at work or driving. What other book might you compare Tom Clancy Under Fire to and why? Mr. Clark talking to jack jr. I did laugh at the wit from Jack jr at times. 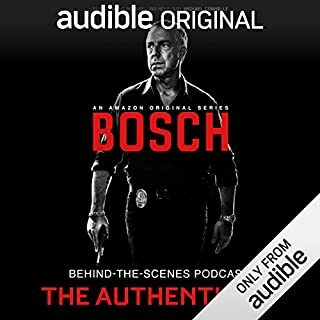 Bosch Behind-the-Scenes is the official podcast of the critically acclaimed Amazon original series about LAPD homicide detective Harry Bosch - based on Michael Connelly's best-selling novels. NOTE: Spoilers ahead! Key plot and character details are revealed from season one of Bosch. An in-depth look into how Bosch's creators strove to bring authenticity to the screen. Co-executive producer Pieter Jan Brugge discusses filming in Los Angeles and the cinematic qualities that give the series scope and scale. 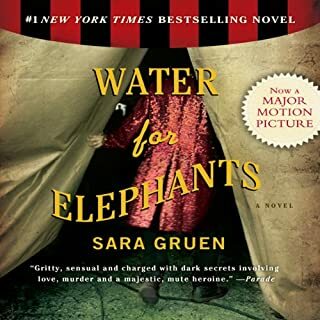 Would you listen to Water for Elephants again? Why? The way it is told from an older man who lived through these events you relive his life through his eyes. What does David LeDoux and John Randolph Jones bring to the story that you wouldn’t experience if you just read the book? If you could take any character from Water for Elephants out to dinner, who would it be and why? Marlena for many reasons from how she joined the circus to what it was like to care for Rosie to many other questions of course. I do wish Marlena was written better when they made the movie, The great Reese Witherspoon did as always a great job but the whole movie was so weak compared to the book. I really wished the writers would have taken more care to really give that great cast in the movie a chance to have turned this story into one of the greatest movies. if you saw the movie, please read or listen to the book it's so much stronger. If you read the book or listened to it still watch the movie some great actors give solid roles. But this story will take you back into the hard times of America life all through a circus and a train. 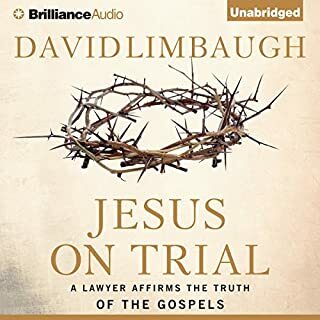 Would you consider the audio edition of Jesus on Trial to be better than the print version? 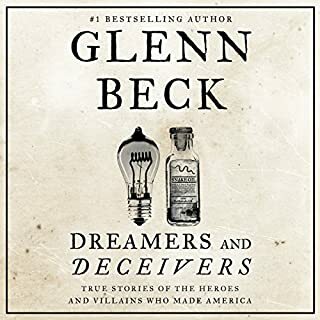 What did you love best about Dreamers and Deceivers? The way Glenn and his team are able to shed insight on stories you thought you knew, and stories you never knew. extraordinary real stories of History brought to Life. So many stories you thought you may have known, and some I never knew. What does Jeremy Lowell bring to the story that you wouldn’t experience if you just read the book? A marvelous story teller, he took Glenn becks words and gave life to them. Very good job at this. I hope Jeremy gets to do many many more in this series. 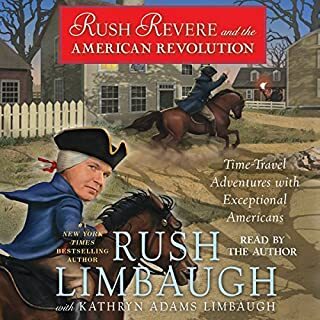 Would you consider the audio edition of Rush Revere and the American Revolution to be better than the print version? I Think they are both wonderful. The print version has beautiful art work kids would have to love. The audio version is wonderful as Rush himself tells you his story . Rush is one of the greatest broadcasters of all time agree or disagree the man knows speech. What was one of the most memorable moments of Rush Revere and the American Revolution? When Cam figures out why his father is away and fighting for our country and for our freedoms and then when he gets to tell his dad just that with his mom. What does Rush Limbaugh bring to the story that you wouldn’t experience if you just read the book? The way Rush can use words and how he can tell a story will make you want to listen to this story in away only Rush can tell it.